Here is why I love this project: 1) we had all the stuff to make this already in our house and within easy reach 2) Both The Bee and The Bean could make and enjoy making these. 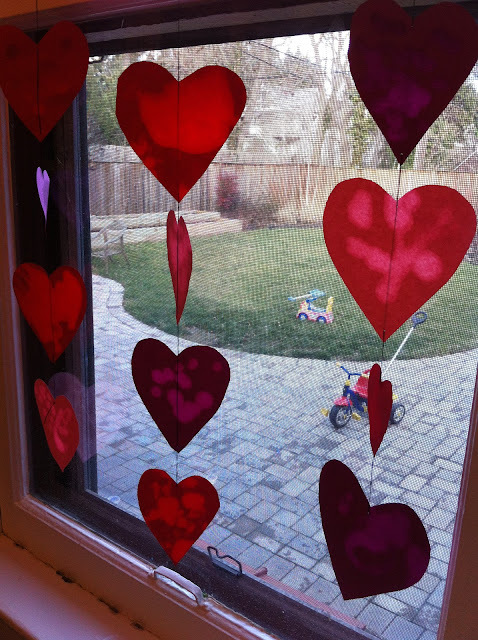 I got the inspiration for this project from E is for Exploration and since we are starting to think valentines we decided to go with heart shapes. I begin by cutting a bunch of hearts out of colored construction paper. In this case the cheaper the paper the better. I then poured a little vegetable oil into two small plates. 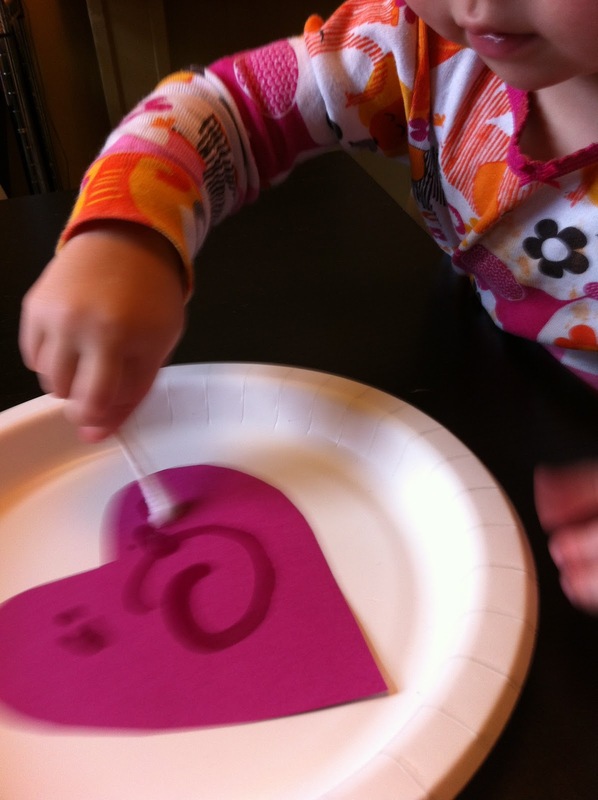 I gave each of the girls a few hearts, a plate of oil and a q-tip. They then painted the oil onto the heart with the q-tip. When on the table this looks a little like you set some fries on your art project but when I hung them in the window Ta-Da! They look beautiful! The oil makes the paper translucent, letting the light through sort of like stained glass.